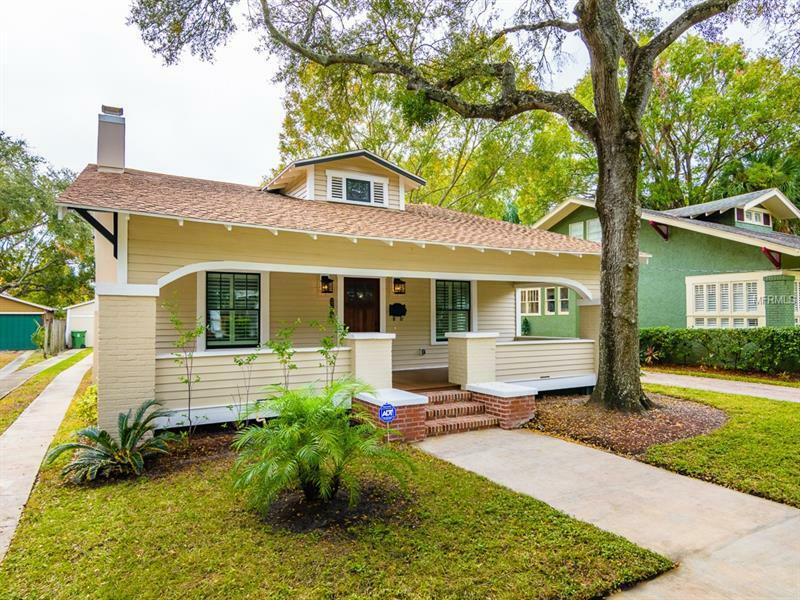 2108 W Marjory Avenue, Tampa, FL.| MLS# T3148886 | Westchase Real Estate - Westchase FL Homes For Sale - Westchase Local Experts. TURN KEY RENOVATION THAT WILL WOW YOUR SENSES!!! This house has been totally redone all the way down to the studs and has a new roof and new foundation. The interior is bright and airy with gleaming new wood flooring throughout. Custom-built cabinetry can be found in the living room, kitchen, bathrooms and walk in closets. Classic plantation shutters over new double paned windows, stylish light fixtures, and crown molding add elegance to the interior. The kitchen features beautiful quartz countertops, tiled backsplash, solid wood cabinets with upper glass showcase doors with interior lights. Stainless-steel kitchen appliances include, Samsung Gas Range, Sub Zero Refrigerator and Microwave. Adjacent to the kitchen you will find a full laundry room with sink and full size Washer & Dryer. Enjoy having two full master suite bedrooms with spacious walk in closets. Both master baths feature new custom-built cabinetry with quartz counter tops and tiled shower with benches. Additional new features include new tankless water heater; Icynene insulation; alarm system; Kron A/C & heat dehumidifier central air. Located in a top-rated school district. Just steps from famous Bern's steak house and walking distance to Bayshore Blvd & Hyde Park Village, plus all the shops and restaurants on Howard Ave!